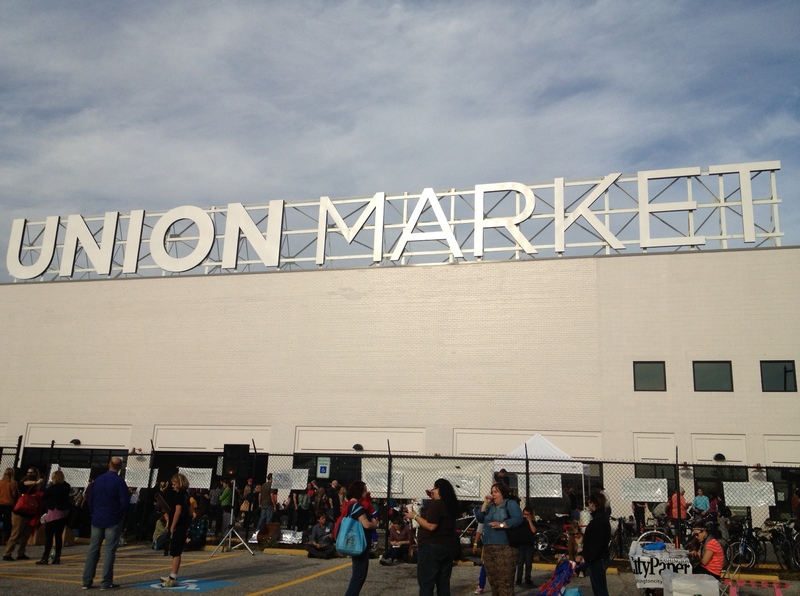 This weekend I took my first trip to Union Market in DC for the Crafty Bastards art fair. The fair was packed with local artisans, vendors, and most of all, people. I have never seen so many DC hipsters in one place! See below. I went to the fair to do some Christmas shopping, but of course, I found nothing for anyone, but myself. I only spent $30 though, so I think I did pretty well. I scored a cool leather cuff bracelet from a local company is called Fisticuffs (eeeek! ), and all of their work is original and one-of-a-kind (and discountess-friendly!). I also got a stamp of a bicycle from another booth. I plan to use it to make homemade tags for Christmas presents. I love stamps – they are so versatile (there’s definitely a post on stamps coming later!). 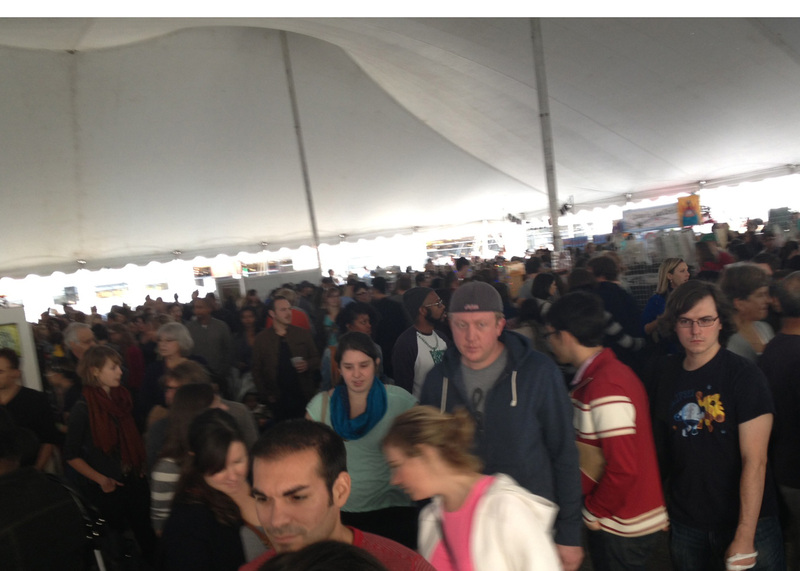 Anywhoozer, I didn’t get to spend as much time perusing the aisles on Union Market as I wanted. There were so many people that it made it hard to get around. That said, I’d love to go back on a normal Saturday. From what I can tell, they have great food shops, fresh veggies, wine and more. It’s the perfect place to grab a coffee, a paper, and do some serious people watching on a sunny Saturday. Talk about inexpensive entertainment!